A new Viva Bird record for 2019 has already started this past year in between CCat sessions. About thirty or so tunes are recorded and more songs will be finished as both instrumentals and tunes with vocals as the new year goes on. A brand spankin' new VIVA BIRD record will be released on October 11th 2016 titled "Wonder Full Volume One" This is the first collection of songs recorded by Viva Bird from 2010 to 2015 that have never been released. Sixteen tunes that did not fit on previous albums and soon to be available for one affordable price! As time marches on the band will release more volumes in this series "Wonder Full"
MOON ROCK by Viva Bird is now available in the CD format exclusively via AMAZON. Originally released as a download only on all the regular sites such as CDBaby, iTunes, Google Play, etc. The record can now be purchased in the compact disc format. Just click on the MERCH link to get the direct AMAZON page with MOON ROCK! Viva Bird have many new original songs recorded with even more in various stages coming down the pipe line for 2016 and 2017. Many of the tunes feature all three members of Caution Cat and a few special guests. A lot of the songs will feature acoustic drums along with electro loops and include vocals as well as instrumentals. Over the next six months we will be putting up some of the new work on our streaming player so be sure to check back every week for updates. 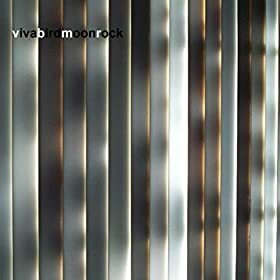 Please grab a copy of Viva Bird's fourth album Moon Rock available everywhere record downloads are sold with a CD version available via Amazon. Today is the official release for the new Viva Bird record titled “Moon Rock” with ten original instrumentals. Genre influences include electro, rock/pop/alt, soundtrack, funk/disco/dance, etc. The album is available on Amazon, iTunes, CDBaby, Google and many other sites catering to music downloads and streaming. A hard copy of the CD can be purchased via Amazon also. You can play each song individually here for free by going to the “music” tab at the right side menu of this page. Check out an unreleased record from Viva Bird titled MOON ROCK. The album never got released in 2014 but may see the light of day in the future. Right now most of the songs are under the MUSIC link along with many other records. There are also some outtakes in the MISC - VIVA BIRD section. The site's MP3 player at the top of the page also features many tunes from the Viva Bird catalog. Songs from the debut record Traffic & Trees are playing in the USA and UK on NUVO, Netflix and Comedy Central. Moon Rock & Superfresh is not a Saturday morning cartoon for kids although it should be. Its the latest goings on: Viva Bird have a new record tentatively titled Moon Rock coming out in the autumn of 2015 with ten instrumentals. The song Superfresh Springroll from the Rainbow Low Fidelity record is number 37 on this week's Coast 2 Coast Mixtape indie top 50. The chart is heavy on hip-hop/rap but Superfresh featuring Snoop K is on there regardless. The magazine is in print & online with over 100,000 readers per month around the world. The Chaos Kids record by Viva Bird is now available for download on Amazon, iTunes and various other streaming services worldwide; and on Mars. Cool new album cover artwork taken at sundown outside the demo studio. Twelve instrumentals total on the record with outtakes/demos streaming on the site music player. The song Here Comes Monday from the Viva Bird album Traffic & Trees has been placed in the trailer for the independent movie Good Night. The comedy drama was shot in Austin Texas and stars Alex Karpovsky from the hit HBO show Girls. The record Rainbow Low Fidelity is now available on Amazon, iTunes and other streaming download sites. On the CD Baby website both downloadable Viva Bird albums will be available for the low price of $4.99 so please get a copy or two. CD Baby is musician friendly and a great company to deal with for buyers and sellers. Three new EPs by Viva Bird titled "Call The Sharks" "Imperfect Strangers" & "Prize Tiger" are available on our YouTube site. These experimental audio collage records of music include effects, instruments & voices from random sources mixed in to create new sounds and textures. Chopped up, diced and sliced the music was recorded and mixed in May & June of 2013 from sources including old ideas on cassette, Caution Cat & Viva Bird demos, friends & co-workers, YouTube videos, 1970s keyboards and random noise. Each EP has 8 songs and original cover art. Songs from the debut record Moving The Mountain & Scissor Singer are getting network play on Comedy Central & NUVO in the USA. Twelve tunes from Viva Bird's "The Chaos Kids" record and the twelve tunes from "Rainbow Low Fidelity" are on YouTube and on this website under the music link. Nuvo TV and Comedy Central have been playing reruns of LA Ink and Workaholics with songs from Viva Birds's debut record Traffic & Trees. New alternate mixes from the album are now streaming on this site. Viva Bird have a new album titled The Chaos Kids with twelve instrumental tracks and it is a companion piece to the record Rainbow Low Fidelity. This collection features toy instruments, synths/keyboards, acoustic & electric guitars, loops and drum machine percussion, ukulele and melodica. Chris Williams from CCat adds additional acoustic drums and percussion. Music mastering, track tweeking and added FX done at Minimum Wage Recording by Lance Koehler. In Fall of 2013 the record will be for sale at all online retailers but right now is only available from the Bandcamp site. The new record Rainbow Low Fidelity with 12 songs is now available for download from all major online retailers. The compositions are mostly instrumental and were recorded at home with additional sounds from Karen Shealy (electric guitars & vocals) Chris Williams (acoustic drums & percussion) & Lance Koehler (fx sounds and tweeking). Music mastering and track tweeking done at Minimum Wage Recording by Lance. The record can be purchased as singles or a complete album download on the Merch page with kinks to all the Viva Bird albums. The song Scissor Singer from the debut record Traffic & Trees by Viva Bird has been placed on two episodes of LA INK. The show stars Kat Von D and airs on the Discovery Channel. The 4th season episodes are titled Kat's New Roommate and Nothing Is Forever Not Even Tattoos. All of LA INKs seasons are available on DVD and/or from streaming services Amazon and iTunes. Seasons one through four are currently available on Netflix. Note: The Discovery network lists the show with a total of 4 seasons. Commercial streaming services broke up the third and forth season to spread it out to additional seasons five, six and seven. All Caution Cat & Viva Bird songs landed in season seven on the commercial streaming services where individual episodes can be purchased for $1.99. Netflix keeps their four season format compatible with The Discovey Network's list. Viva Bird has its first song placement on a television show via the Comedy Central network. "Moving The Mountain" from the debut record Traffic & Trees appears in an episode of the comedy series Workaholics. The 3rd episode of season two is called "Temp-Tress" and features a bit of the song's intro during a raunchy scene between the main characters inside a car.....The hit comedy is currently streaming on Netflix and on the Comedy Central website. DVDs of all the seasons are available to purchase online and at your local retailer. This past year Viva Bird have recorded a load of new tunes ready to be mixed & mastered with still more in the home recording studio pipeline. Lance Koehler at Minimum Wage Recording has done the additional mixing and tweeking to help out these crazy recordings. The bulk of the songs are instrumental featuring both electronics and live instrumentation. The music will be released over two separate records. Viva Bird has signed the debut record "Traffic And Trees" with LoveCat Music in New York City, The Big Apple! The record contains 11 instrumentals and 6 tunes with vocals. We are looking forward to working with the fine folks at LoveCat. The 17 song cd was recorded way back in March/April of 2010 in a 20 day home recording fest. Great colorful artwork inside and out done by Kaitlyn at Revolve in Richmond VA.
VIVA BIRD is a musical side project mix of instrumental, electronica, soundtrack, experimental, electro pop, indie, kitchen sink...The band's debut record is called Traffic and Trees and was released on Sept 28th 2010. The collection is unique in that normally songs are written and then recorded. Traffic and Trees was written as it was recorded, a much more "see what happens" approach to creating a record. The project was a nice break from the guitar dominated music of Caution Cat. The original intent was to use only two keyboards, a bass guitar and a drum machine but that changed when the ideas started to take form....... some tracks needed guitars! There is also lots of acoustic and electronic percussion with a wee bit of uke.